Buying a car is an important decision - not only it reflects taste, style, aura and top of it the convenience - but it also is a big financial decision - thanks to high ownership cost of cars in India. With a Herd trend of Diesel Cars - Its important to know - whether you should follow the herd or choose in wisely in considering Financial Cost, Future Maintenance and Ownership Factor in making Informed decisioning. Also - a sense of Ownership applies on all among us. 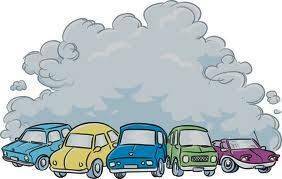 As per Report in 'The Guardian' - Diesel Cars as compared to Petrol Emits 4 times more nitrogen dioxide pollution and 22 times more tiny particles which penetrate the lungs, brain and heart. » Even there are Parts like Catalytic Converter, Water Pump, AC Coils which though rarely fails - but if they do will cost higher in Diesel Cars vis a vis Petrol Cars. Diesel Cars generally have slight stiffer clutch as against Petrol Cars. So if you seek absolute light clutch then the counterpart Petrol Engine provides light clutch. So - considering, upfront cost you will technically Break Even at 1.5 Lakh Kms - then only only would be recovering in on the Diesel Car vis a vis Petrol one. Important to note that Fuel Price Gap Difference in between Petrol Car and Diesel Car have narrowed in recent times and is now just Rs 5 per Litre or even less than it in most of the cities. » Enthusiast: Enthusiast who want to experience the fun of drive with Higher Torque and Power Delivery or considering SUV Cars where performance factor matters a lot and Diesel Engine makes it good to go as against Petrol Engine Performance which feels more like Average to Linear. Share with your Friends, Family - Contribute to help People to know to make Informed Decision in Buying Car by knowing Financial Implications and Environmental Issue !! what if petrol and diesel car cost the same .. creta E+ petrol or diesel ? Hi gagan, what if petrol and diesel car cost the same .. creta E+ petrol or diesel ? What if one has to chose between aspire diesel and dzire petrol ? Great comparison. However we now need to take two more factors into consideration. 1. 10 year limit for diesel 2. The narrowing gap of the two fuels. With all this I would request your comment on the purchase of a new car. It will be important to note that my average running is approx 45000 km/ year. It is this running which has confused me. I prefer to drive and have been doing 1000 km in a day very often. The need to use a car is due to uncertain programs and the reservation issues at short notice. OMG!!!!! Crazy this guy.. Hats of to you Sir. The way you have made this comparison beats all the other comparison records. Amazing !!! . each and every detail is accounted for and taken into consideration. Thank you. 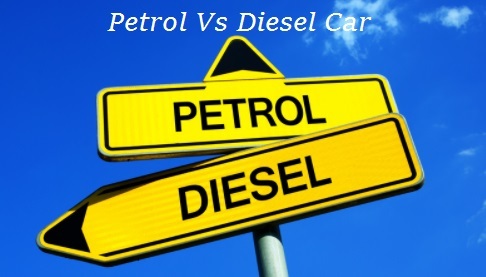 After read this difference between opt petrol or diesel engine car. I am satisfied with my dicession to purchased a patrol variant. Therefore, it's my pleasure advice to all of you before purchase a car you all should have to read this difference carefully. I plan to buy a used car. Currently I am having a diesel Ritz. Planning a second premium car. I am checking different cars like Toyota Corolla Altis. My budget is around 7 to 8lakhs. Kindly Advise me on suitable cars for me. My monthly usage will be a maximum of 500Kms. So Petrol will good as per this post. Kindly Advise more on this. If ur monthly usage is less than 1500 kms, definitely u can opt for petrol. And moreover ur budget is 7 to 8 lakh, so u can really opt for new variant. or creata e plus petrol. Which sub is best car under 12 lakhs on road price. New scross or new ecosport titanium petrol or creata e plus petrol. I am new to car drive, this is my first car planning to buy. usage: not regular use, but will be taken out on occasions. monthly around 1000 km drive is expected. Cost: I can afford approximately 7 Lakhs or max 9 lakhs. Note: I am opting loan for this. Looking for family car with min maintenance, please suggest the car in India. I am new to car drive, this is my first car planning to buy. usage: not regular use, but will be taken out on occasions. monthly around 1000 km drive is expected. Cost: I can afford approximately 7 Lakhs or max 9 lakhs. Note: I am opting loan for this. Looking for family car with min maintenance, please suggest the car in India. We useful article , Well done MR Gagan. Thanks for the information,it really helped me to think over again about I should go petrol or diesel engine. I needed to ask one more question regarding diesel engine,I came to know that in diesel engines it's necessary to replace the fuel injection pumps for 5 year's once even though it's not been used high usage is it correct ??? Thanks for the information,it really helped me to think over again about I should go petrol or diesel engine. I needed to ask one more question regarding diesel engine,I came to know that in diesel engines it's necessary to replace the fuel injection pumps for 5 year's once even though it's not been used high usage is it correct ??? Go Ahead, Nano is good option. Kindly let me know which is more compatible with automatic transmission, Diesel or Petrol. I'm planning to buy a new MUV car but confuse in diesel/petrol with AT. Also please share the review of New Maruti Suzuki Ertiga as per my requirement. I would say no to Ertiga Petrol .. Under powered with 7 people onboard..